I had installed Ubuntu 12.04 on my netbook with maximum resolution of 1024x600, I upgraded to ubuntu 12.10. occasionally I use other GUI because it is more comfortable to me for certain tasks. since I updated I can not switch to another GUI because I can not see and click on the OK button. how can I change the font size of the login sreen on ubuntu 12.10? Had same issue with login screen in 12.10 using a netbook, at 1024x600 resolution the OK button at bottom of the desktop environment menu is off screen. This would not be an issue if lightdm allowed configuration of font or used a scrollable menu. Discovered a workaround, select desktop environment and use Tab to cycle pass other environments, the selected environment should remain highlighted with tabbing otherwise click outer edge of menu after select - Tab to the hidden OK button and press Enter to confirm selected desktop environment. sudo -u lightdm dbus-launch gsettings set com.canonical.unity-greeter font-name "Ubuntu 18"! How do I remove the unity 2D option in lightdm (login sceen) in ubuntu 12.04? 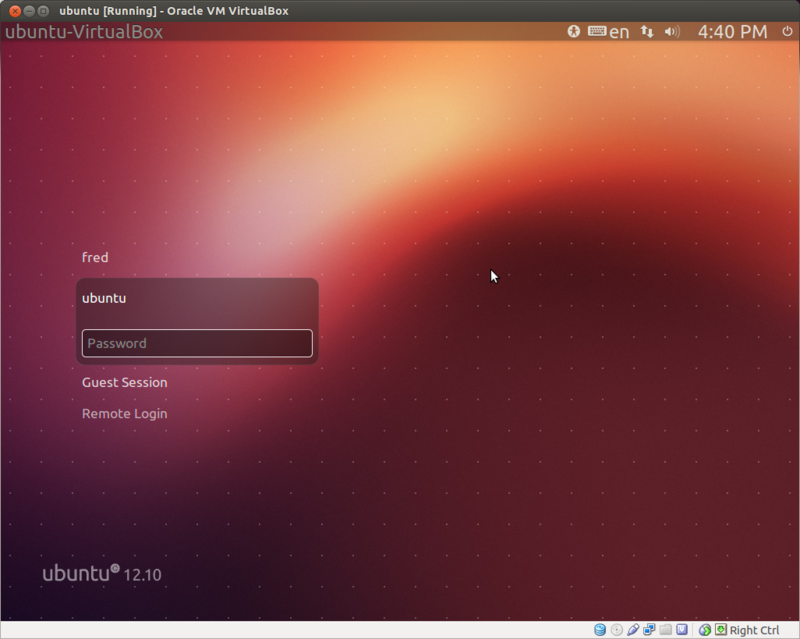 How to use the new feature of remote login in ubuntu 12.10? Ubuntu 12.04 boots to login screen but (I think) X.org crashes on login. Help Appreciated!